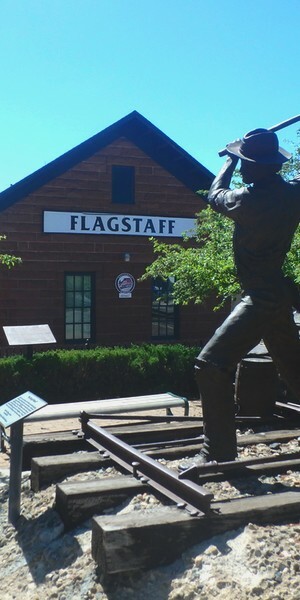 Come along with us on a historical & sightseeing walking tour through Downtown Flagstaff. Meet us the Flagstaff Visitor Center located at 1 E. Route 66. Take a stroll with us down Route 66, up into the heart of downtown, and over to the Southside and enjoy an interactive presentation from a Flagstaff local and area expert. This fun, small group tour will run about 75 minutes. Arrive early for on time departure. Kids of all ages are welcome on this tour, participation suitability is the responsibility of the parent. If you have questions about suitability, contact us as at any time. 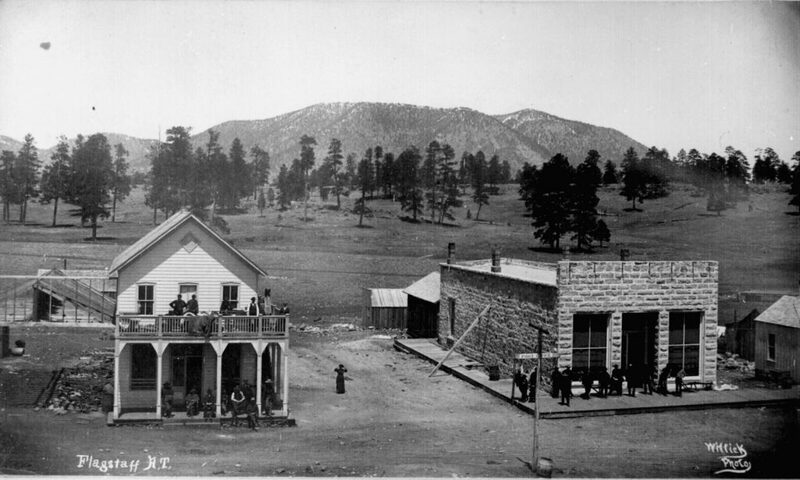 Discover the beauty and history of downtown Flagstaff. 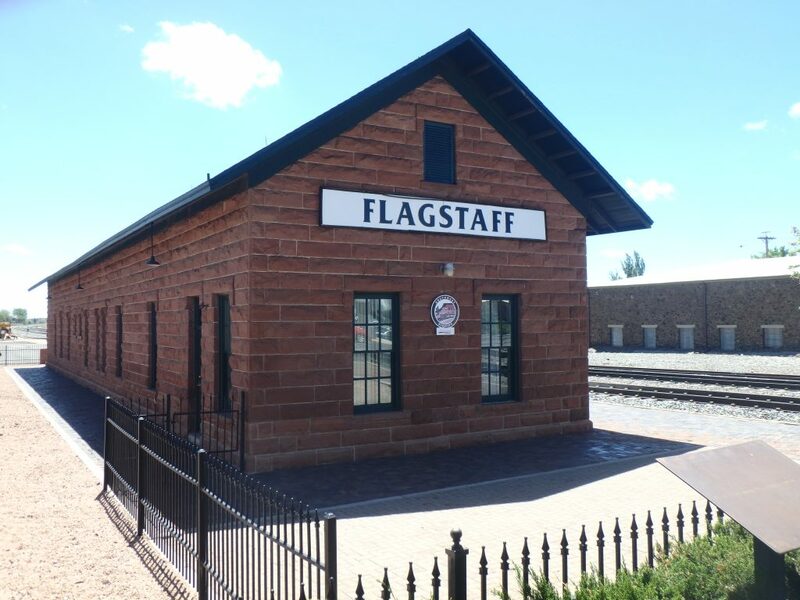 Whether you are a visitor to Flagstaff, new to town, or a long-time resident, you will love our Downtown Flagstaff Walking Tour! View the calendar on this page for available dates and times. 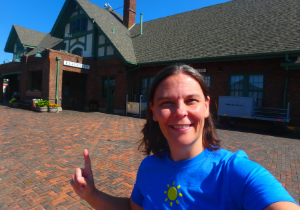 Meet Us: We will meet you at the Flagstaff Visitor Center near the railroad tracks. 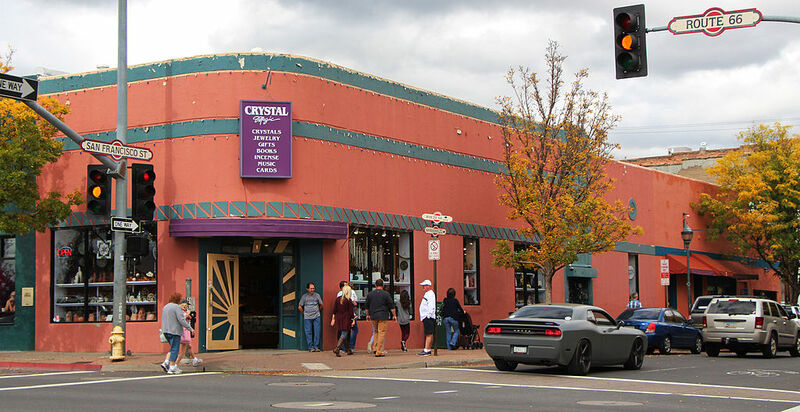 Next, let’s dive right in to the history and beauty of downtown Flagstaff. Each section of our walk will be packed with interesting views and insightful information. Your participation and questions are always encouraged! 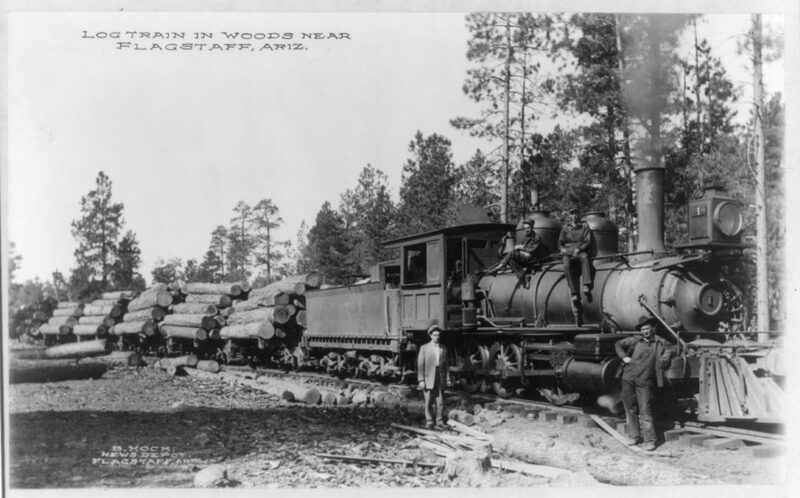 On our journey though downtown we will learn about the historic buildings, some of Flagstaff’s earliest residents, the railroad and the lumber industry, and so much moe! After about an hour, we will head back to the starting point and say our goodbyes. What to Wear | This tour will be operated entirely by foot. We recommend good walking shoes and clothes appropriate to the season of your tour and the anticipated weather forecast. Layers generally work best in Flagstaff. We recommend that every guest hydrates for the days leading up to their tour and visit to Flagstaff and that you bring a water bottle on your tour. Interests | Natural and cultural history, buildings local culture, neighborhoods, parks, pioneers, geology, volcanoes and so much more! Physicality | 8/10 – The Flagstaff Sightseeing tour is on the medium to high end of our physicality scale. Contact us with questions. Cancellations received more than 48 hours prior to your scheduled tour date will be refunded in full minus a 5% processing fee. No refunds will be made for cancellations within 48 hours of your tour date. If you are concerned about the possibility of cancelling your tour we recommend travel insurance. Guests that do not show for their scheduled tour will be charged the full cost of their trip. Date or time transfers will be considered. In general our walking tours operate in any weather condition, dress appropriately. However, safety is our number one priority. In case of inclement weather or other unforeseen circumstances, we reserve the right to cancel a tour at any time. We will refund the full tour cost to guests in the instance that the operator cancels a tour. We will attempt to inform every guest as early as possible should a cancellation occur and date or time transfers will be available.